Watch @JudgeJeanine on @FoxNews tonight at 9:00 P.M.," President Trump tweeted Saturday morning — hardly an unusual post for a president known for his love of cable news shows. But in that evening's episode, Judge Jeanine Pirro kicked off her program with a demand for House Speaker Paul Ryan (R-Wis.) to resign. "He failed to deliver the votes on his health-care bill, the one trumpeted to repeal and replace ObamaCare," she said, insisting the de facto demise of the bill — backed by Ryan and Trump alike — "is not on President Trump" because "no one expected a businessman to completely understand the nuances, the complicated ins and outs of Washington." Pirro said she did not discuss her message with the president before the show. 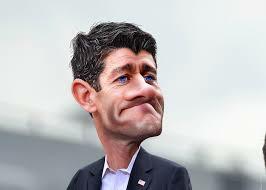 While Trump has not explicitly blamed Ryan for the defeat, the House speaker is in a difficult position after his legislation alienated the most conservative and moderate wings of his party alike.